Lately I’ve been thinking a lot about Darwyn Cooke. Since the great man’s passing earlier this month after a short battle with an aggressive form of cancer, I’ve been pouring over some of my favourite examples of his work and, if I was tied to a chair by his brutal rendering of Richard Stark’s Parker and forced at gunpoint by the frightening ink black killer to pick the one quality that gets overlooked when addressing that impressive body of work, it would be his craft as a storyteller. Sure, I get lost in the attention to detail in The Hunter, adore the use of period advertising as exposition in The Score, and, let’s not forget, his always smiling incarnation of Wonder Woman but the thing that stands out is his choice of what to show us and how to suggest movement. Take Catwoman #2 from 2001; there’s an opening scene of Selina Kyle racing across the top of a train, leaping high into the Gotham skyline and digging her bladed heels into the side of Gotham City Police Headquarters. 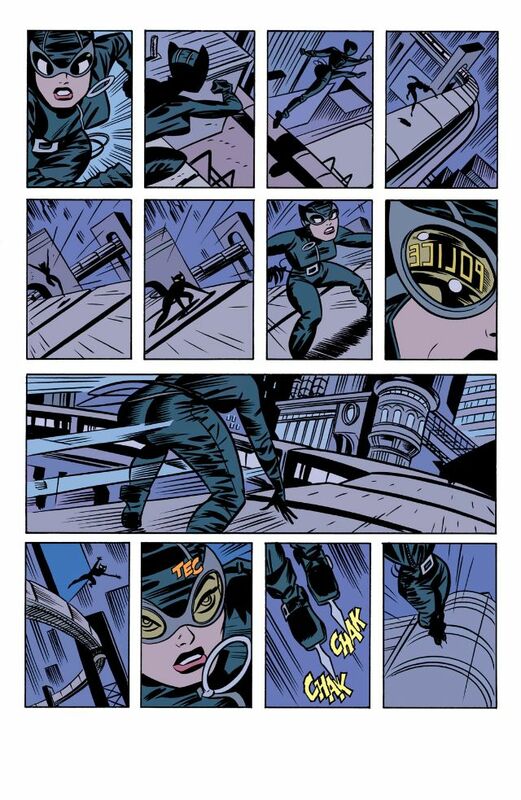 The panelling is not only inventive – the page is divided into 17 individual panels, each building tension, often with nothing more than the sound of the barriers being lowered a junction or the reflection of the word ‘police’ in Selina’s newly adopted goggles (that’s right, every Catwoman since this issue owes a debt to her look here) – each feels like no other design choice could tell that story. It’s as if he had a film of that moment and each had cut Selina’s key poses out of and still managed to impart a lot of geographical exposition and still have it visually palatable to the read. That kind of synergy and clarity between artist and storyteller is rare. The man is a stone cold genius and I implore you to go and wallow in some of his work. 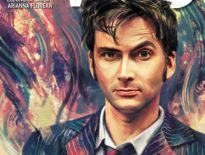 So why am I mentioning the great man in a Doctor Who comic review? Isn’t that a little unfair? Well, to a degree, yes it is but one of the strongest points of this Eighth Doctor mini-series has been the panelling. While Emma Vieceli’s vibrant, bubble-gum-hued art, with a big assist from Hi-Fi’s colouring, bears no resemblance to the dark, steamy crime ridden streets of Cooke’s Gotham, there has been the same care towards simplicity and clarity that has made the mini-series such an entertaining read. Vieceli’s frames aren’t as formal as Cooke’s fairly rigid grids – you imagine he would balk at the vines that entwine each panel or the inventive descending rectangles laid over a larger image of the Doctor, but your eye never gets lost, everything flows beautifully, and, above all, you want to spend time in this world; it’s a fun, frothy universe that invites you to come and play. 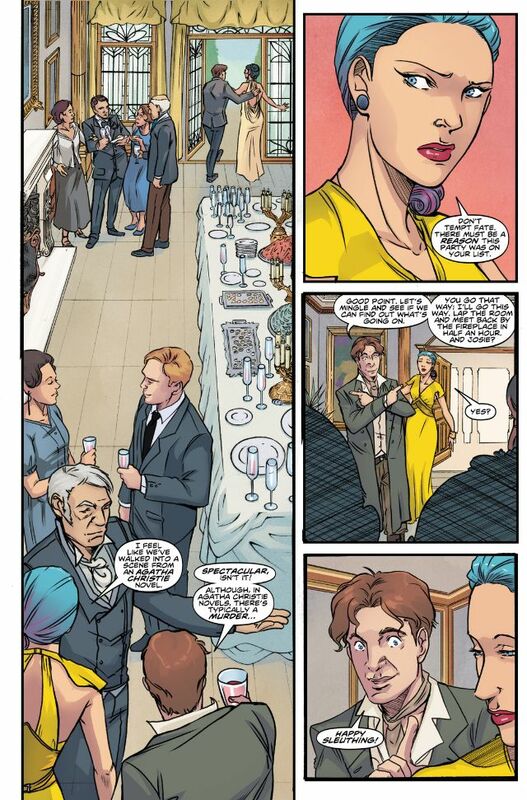 Sadly with Briarwood – the fourth of five issues in this mini-series – this isn’t backed up by an equally inventive story. 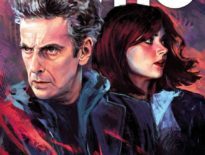 Sure, it’s harmless and doesn’t outstay its welcome but everything feels by the numbers and lacking that key spark that elevates stories like this into something more worthy of Doctor Who. This time around, the Doctor and Josie Day gate crash Briarwood Mansion, the sort of stately home crying out for an Agatha Christie style murder mystery (the story owes something of a debt to The Unicorn and the Wasp). However, despite their best efforts to find such a confounding demise, there’s neither a body nor a famous detective to rub shoulders with and, in all likelihood squee over. Instead we get Miss Marple by the way of the Brothers Grimm, which, in true Doctor Who style, turns out to have extra-terrestrial origins. There’s also a key point about being brave in the face of adversity – especially in the ruthlessly elitist world of a stately mansion but the resolution feels rushed, leaving what should be a heartfelt triumph to just peter out. The story feels somewhat unbalanced in favour of delivering a rollicking yarn; that’s not necessarily a bad thing but you need a moment with these characters to learn who they are and to form an opinion of them. 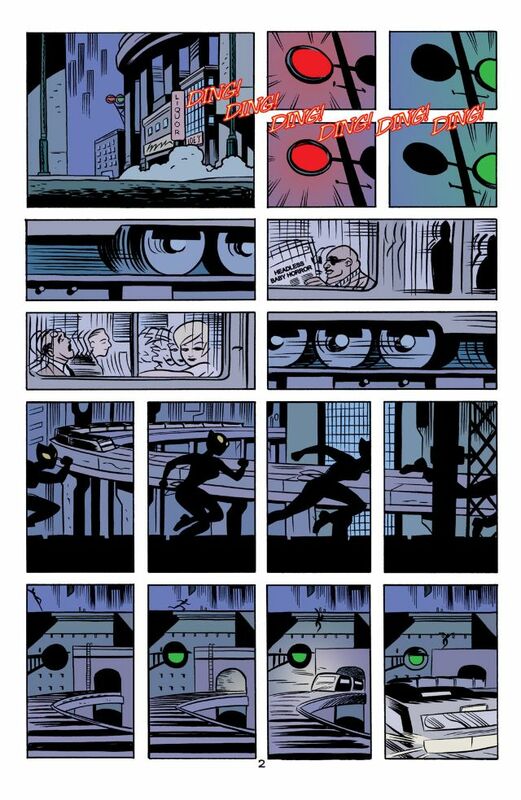 If we go back to the Catwoman#2 example, you learn so much about who Selina is just from the way she approaches the train, the spilt-second timing, her focus, her athleticism, her determination and a little of her self-depreciation when she almost fluffs the landing. It’s action informing character. And sadly, it doesn’t really gel with Briarwood. Characters run from a pursuing threat but we don’t get the little bits of humour or terror that bond new characters to established ones or build on established bonds. Vieceli’s key poses really do convey most of the interaction but there’s no spark from the dialogue to make it truly sing. Speaking of established bonds, there’s a distinct lack of progression when it comes to establishing the overall arch of the mini-series too. 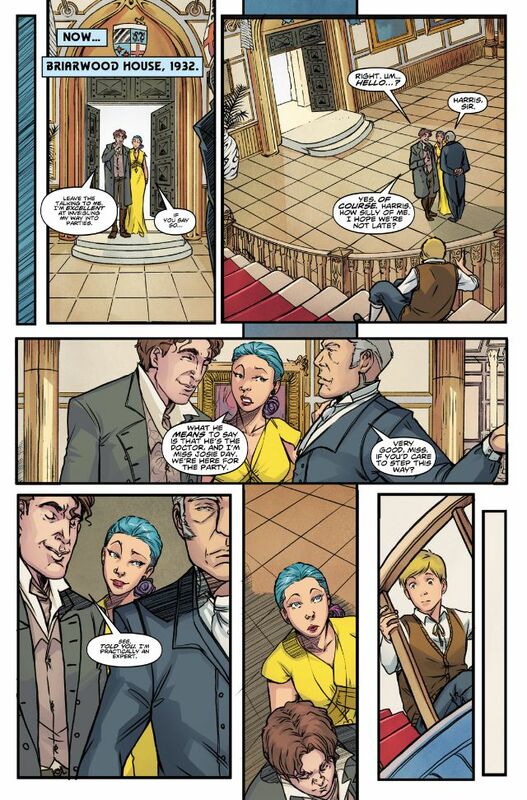 With this and the previous issue, there haven’t been enough moments to tease you with the potential reveal of just why the Doctor left a note for himself with Josie, and what that might mean, to really make you want to find out what the mystery entails. And again, this comes from the central pairing of the Doctor and Josie; we’ve not had a quiet moment for them to really ponder this or to begin to pull the threads together. There is a small scene at the beginning of the issue which gives a very clear hint about just who has their hand on the wheel but it’s entirely separate to the events of this issue and not organic to it. It leaves a lot of heavy lifting for the final issue to do. That said, the issue works well enough as a serviceable standalone story and the artwork, as usual, is fun and engaging (there’s a great two-page spread that’s reminiscent of fairy tales of yore). It just doesn’t quite come together into something more memorable. 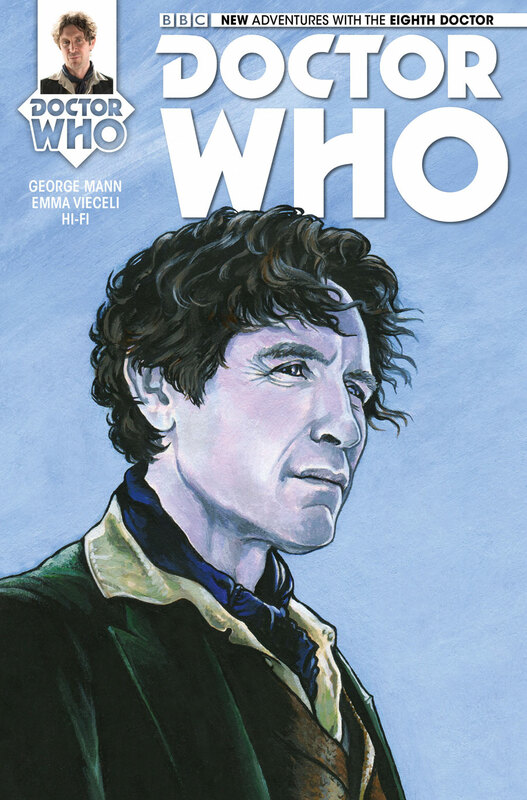 You can purchase the full Eighth Doctor mini-series entitled A Matter of Life and Death from Amazon now.